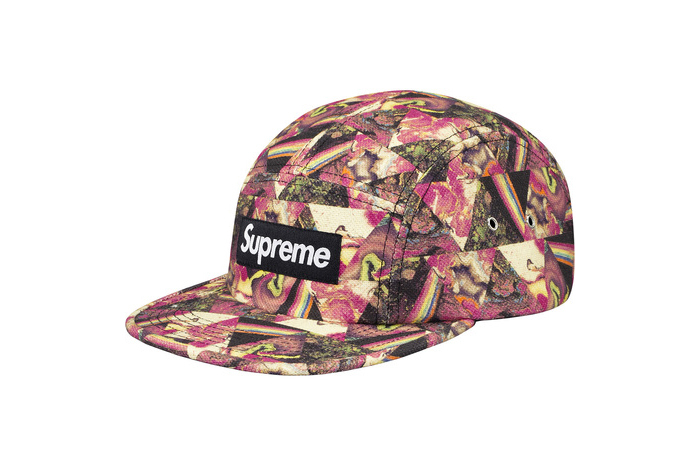 Supreme continue to use Liberty London fabrics for inspiration on their iconic camp caps with the release of this more abnormal Thorgerson patterned duo. The Supreme x Liberty collabs have been going down very well in the last few years, but it’s really nice to see them digging a little deeper into the extensive Liberty pattern archive and going beyond the stereotypical floral patterns. Here we see a pattern from the Liberty Art Fabrics collection designed by legendary album cover artist Storm Thorgerson, referencing one of his most recognisable pieces of work; Pink Floyd’s ‘Dark Side of the Moon’. 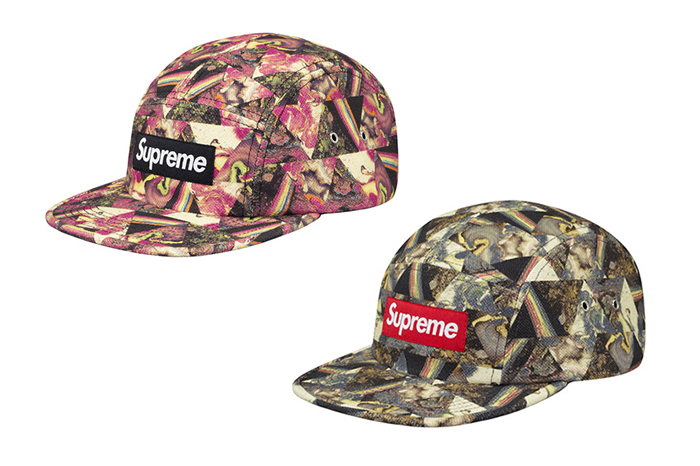 Supreme have used two colour variations of the fabric to create these awesome patterned camp caps that are rich with story. Head over to Supreme or swing by the store to grab these before they sell out. Be Quick! This is nice… love the fusion they got going on. The color variations work well.